Before coming to Myanmar (Burma), there was very limited and outdated information on backpacking and traveling in this country in books and online. With that, I decided to compile a Quick and Dirty Guide on maneuvering your way through this amazing country. If you want to experience a country that is barely touched by western influences and flooded with tourist, Myanmar (Burma) should be considered. Myanmar which nestled in between Bangladesh and Thailand, in the past, has faced much political, governmental, and economic turmoil. The country has finally become grounded in a sense, and within the last few years, has opened its borders up for an influx of tourism. Truthfully, I was a bit nervous coming here, considering the country has been opening and closing its borders to the world for years due to uprising and riots. Reading the various travel guides (which are completely outdated and misinformed), it turns out, Myanmar was one of my favorite countries to visit! Unlike other countries in SE Asia, the Burmese do not try to go up on prices because you are a foreigner, the people are some of the nicest in the world, and the country looks the same way it did 50 years ago! Outside of the major cities, I listed below; you will need certain permissions and permits to visit some smaller villages and towns. You can distinctly see the dichotomy between the authentic, original, undisturbed Myanmar vs. Western and New World influences. On one hand, you can see where Western investors are building luxury accommodations (some apartments are renting for $5K/month!) and nestled next to one-hundred-year-old, soot and grime covered, Colonial buildings. I also met a lot of young professionals looking to strike it big in Myanmar, utilizing the new opportunities there to build startups and work for large corporations who are opening offices, thus showing the rapid growth in the country. Because tourism is so "new," there is a significant shortage of hotels, guesthouses, and hostels to choose from. Therefore costs are at a premium (compared to other SE Asian countries). You could easily pay between $15-25/night for a very basic hostel or guesthouse, and $75+ a night for a two-star hotel! As a backpacker, this can hit your budget so be prepared. Obviously, you can offset this by splitting with other travelers. Wifi is relatively new to the entire country, so many places of accommodation do not have websites, so they are not on TripAdvisor, Booking, or HostelWorld! It is best to rely on recent blog postings or speaking with backpackers who have traveled to Myanmar along the way. Backpackers Myanmar is a new pod-style hostel but at $15/night a bit steep in cost. It is located downtown in an awesome location, however, if you are seeking a hearty breakfast, Backpackers Myanmar only provides Burmese tea (DELICIOUS) and a small pastry. The hostel, however, is immaculate (a non-negotiable for me), the staff fantastic, and they even assist in onward travel! The pod style hostel was a cool experience too. A cheaper alternative is Okinawa Guesthouse 2. At $10/night for the dorm, the location is right across from SuLe Pagoda and offers amazing full breakfast including rice or noodle dishes, fruit, and tea or coffee. 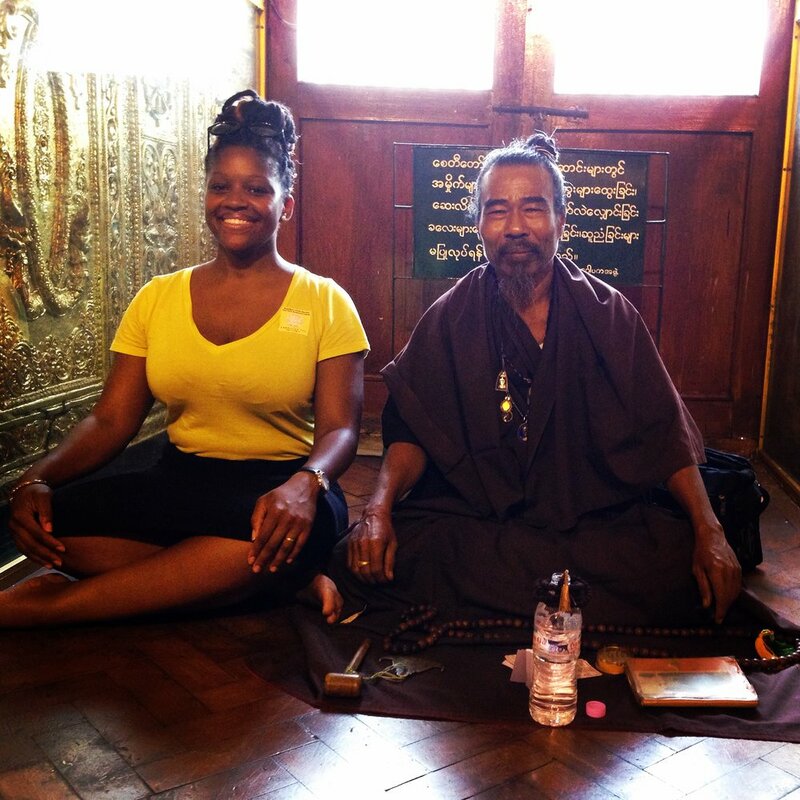 I had the opportunity to check out Free Yangon Walks which was super cool! I am a HUGE fan of free walking tours, and this tour was excellent. Gino who runs the tours not only takes you on a two-hour walking tour of Yangon but also recommends some cool spots to check out in an art gallery and restaurants! At the time of writing this, the tour only took place on Saturdays and Sundays. For a bit of nightlife, check out 19th Street/ Chinatown for REALLY cheap drinks ($.80 mojitos and $.50 beers) and Chinese BBQ! There are rows and rows of bars and restaurants, in addition to tons of street vendors selling fruit and Burmese delicacies like Tea Leaf Salad (still one of my favorite food items in SE Asia!). The city is pure enchantment. Imagine a sea of thousand-year-old pagodas that stretch as far as your eyes can see! One of the largest attractions here is taking a sunrise hot air balloon ride over the pagodas. While this can cost ~ $300, I recommend taking a hot air balloon at some point in your life! However, if this option is not in your budget, then consider renting an eBike (make sure you test the brakes & battery life!) and ride around and look at the various pagodas on your own. If you're lucky, some of the pagoda keepers will let you climb to the top of these ancient beauties to watch the Sunset! At most, I would recommend spending two to three full days here before you get "pagoda fatigued." Bagan has plenty of guesthouses, but again many are not online. Once you arrive, it is better to ask around for a nice, clean, affordable guesthouse. Local taxi drivers surprisingly suggest great places. Unfortunately, the guesthouse I found is not worth mentioning. This was by far, was my most favorite region in Myanmar! It is about 20* cooler here which is MUCH welcomed! On my two days here, we hired a boat ($15 boat/day) which we arranged through our guesthouse to take a tour of Inle Lake, where we saw various craftsmen shops, floating villages, fishermen, and even an opportunity to see the beautiful "Long Neck" women! This is a full day tour, so make sure to bring plenty of water, sunscreen, and light scarf/jacket as it gets very chilly in the afternoon! Sitting with a "Long Neck" Woman in Here Village Craft Shop! On the second day, we rented bikes from our guesthouse and rode for about an hour to a natural hot spring spa. For $10, you can enjoy the "special" area (aka "Foreign" as the sign says) for two hours. After lounging around here, we took another boat across the lake, then biked another 45 minutes to Red Wine Estate Winery! It was the toughest cycle of my life to that steep hill, but the views and the wine were completely worth it! They offer a $2 wine tasting that is an excellent palate pleaser, but I would suggest buying a $10 bottle of Inle Rose and enjoying the sunset! For accommodations, Joy Hotel (a guesthouse) is an excellent choice. They offer a hearty breakfast included in the price, is centrally located, had one of the HOTTEST showers I had on the trip, and splitting a room with another traveler was only $9/night! Mandalay does not offer much to brag or talk about. There are "ancient cities" outside of Mandalay, but they were just a bunch of ancient pagodas and not nearly as spectacular as Bagan. The most interesting thing we saw was at the Buddhist monastery. It was the lunch time procession of the monks receiving "lunch" for the day. Yoe Yoe Lay Guesthouse was probably the highlight. It is a comfortable guesthouse with the BEST breakfast I have had in over a month! One morning they had American pancakes (in Asia sometimes "pancakes" means crepes), sautéed curried potatoes, fruit, and tea/coffee! To get to each of these cities, I suggest the JJ Express bus company whenever you can. This bus company costs a bit more than the "local" VIP buses, but it is the cleanest, most comfortable bus that does NOT play Burmese pop music until 3 am! They also serve food (once we stopped at a restaurant for noodle soup which was included in the initial cost! ), blankets, and the air con is rocking! The last bus I took even had TVs in the back of the seats! WHAT?! Mega Bus in the States is not this thorough! For all of us who are heavily dependent on the internet - prepare your heart and mind. Wifi has only been in the country for under two years. It is VERY slow. So slow that I could barely call/FaceTime family and friends, let alone post to Facebook or Instagram. You will find a few spots that have faster connections, but not likely in your accommodations. Many of the accommodations do not have websites. Ask other travelers for suggestions on clean, comfortable, and affordable places to stay. I am very particular when it comes to choosing accommodations; the few I mentioned in the post are stellar! Depending on budget and if you are traveling with a group, you definitely should solicit recommendations for others you meet along the way. Electrical power cuts are frequent. Especially in Bagan, we experienced it there the most often. Because power cuts are frequent, I would be cautious on the type of food you order. Meat dishes especially. A chicken meal sent me into a sleepless night of vomiting and "the runs," because I'm sure it is not preserved properly with constant temperature changes with refrigeration. Speaking of chicken, I talked to a fellow traveler, and he said that chickens are not raised to be "eaten" but for eggs. So the chickens that are consumed are usually the old birds. Eck! It is scorching in Yangon and Mandalay especially; make sure to stay hydrated! The mosquitoes are vicious! Pack a superb deet or natural alternatives like eucalyptus oil and/or tea tree oil. Ladies - dress modestly. Buying a longi (traditional long cloth wrapped into a skirt) will cover you appropriately, ventilate your legs, and start conversations with locals! Myanmar (Burma) is VERY safe. The consequences for crimes are so severe that it is not worth doing the crimes! You need a visa to get into Myanmar. Fortunately, you can apply online and get an eVisa! It took me about two days to receive via email. I just printed it out and presented it at the airport. Very easy and straight forward process! Try Tea Leaf Salad! It's an interesting fusion of flavors, and you can only find it in Burmese restaurants! Myanmar is an amazing and enchanting country to see. Because of the rapid moving changes in the country due to globalization, it is my theory that unfortunately, it will soon lose it's magical and authentic "realness." This country completely exceeded my expectations on my experience here. 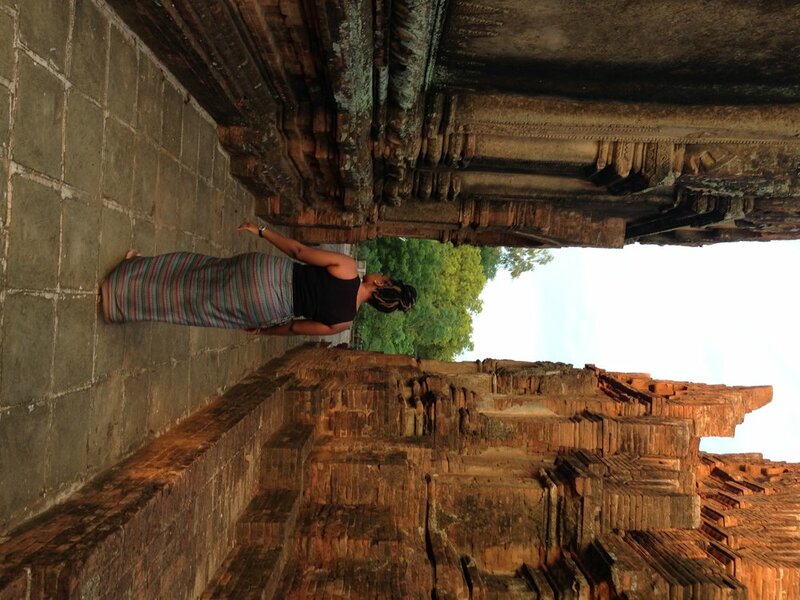 It was one of my favorite destinations in all of SE Asia!